Mosquitoes will take the spotlight, front line and center, this month. On Wednesday, April 8, Regents Professor Michael Strand of the University of Georgia, Athens, and internationally recognized for his research on parasite-insect host interactions, will speak on "The Role of Microorganisms in Growth, Development and Reproduction of Mosquitoes” at the UC Davis Department of Entomology and Nematology seminar from 12:10 to 1 p.m. in 122 Briggs. Next the Pacific Branch of the Entomologist Society of America (PBESA) will honor medical entomologist Thomas W. Scott, distinguished professor of entomology, UC Davis Department of Entomology and Nematology, at its 99th annual conference, April 12-15, in C'ouer d'Alene, Idaho. He will receive the coveted C. W. Woodworth Award for his outstanding work on dengue, a mosquito-transmitted disease. And then on Friday, April 24, UC Davis will co-host the fourth annual Bay Area World Malaria Day Symposium, set from 8 a.m. to 4 p.m., Friday, April 24 on the Clark Kerr campus, UC Berkeley. UC Davis and Zagaya, a non-profit organization that envisions a malaria-free world, are partnering on the project. Professor Strand's talk is much anticipated. 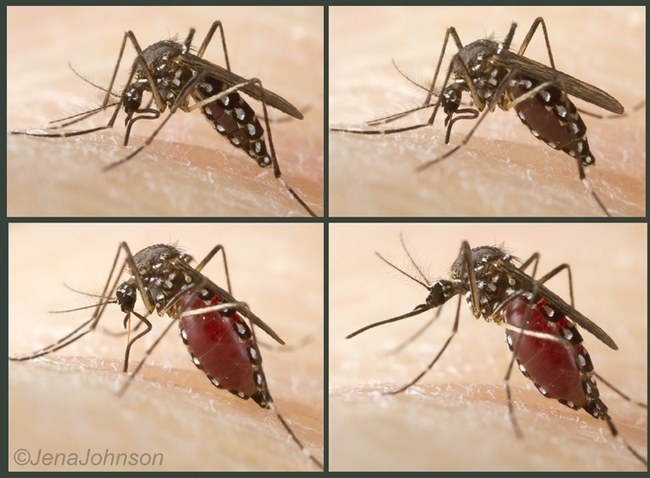 "Mosquitoes are well recognized as the most important arthropod vectors of disease-causing pathogens," Strand says in his abstract. "Interest in the gut microbiota of mosquitoes has risen recently as a potential tool for manipulating vector competency. In contrast, much less is known about the role of this community in mosquito growth, development and reproduction. In this talk I will discuss recent results from our lab group regarding the composition of the gut microbiome in different mosquito species and insights we have gained about the function of this community in mosquito biology and evolution." 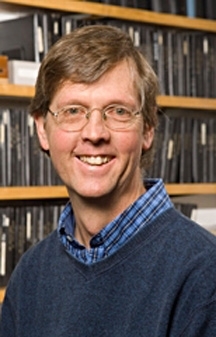 Strand focuses his research in the areas of parasite-host interactions, virology, immunity and development. Current projects center on virus-host interactions, function of the insect immune system, and regulation of reproduction in mosquitoes and other insects. Strand will be introduced by molecular biologist Shirley Luckhart, professor in the Department of Medical Microbiology and Immunology School of Medicine, and co-director of the UC Davis-based Center for Vector-borne Diseases (CVEC). Talk will turn to dengue at the PBESA meeting in Co'eur d'Alene, Idaho. 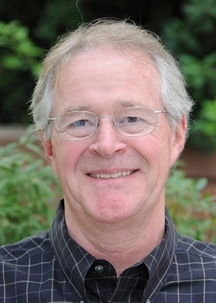 Professor Scott, who has researched mosquito-borne disease for 35 years and is retiring in June, is a global authority on the epidemiology of mosquito-borne disease, mosquito ecology, evolution of mosquito-virus interactions, and evaluation of novel products and strategies for mosquito control and disease prevention. Among the top vector biologists in the world, he is recognized as the leading expert in the ecology and epidemiology of dengue. Scott is known for his holistic and comprehensive approach in finding solutions to protect the world's population from dengue, a disease that infects some 400 million per year. Some 4 billion people in 128 countries, more than half of the world's population, are at risk for dengue. Currently no vaccine or drug is effective against this life-threatening disease. Mathematical and computer simulation modeling of mosquito population biology and mosquito-borne pathogen transmission. Scott co-founded the Center for Vector-Borne Research (CVEC), comprised of researchers throughout the UC System. See more information on Scott. Patrick Duffy, chief of the National Institutes of Health's Laboratory of Malaria Immunology and Vaccinology, will keynote the fourth annual Bay Area World Malaria Day Symposium, set Friday, April 24 on the Clark Kerr campus, UC Berkeley. The symposium, to take place from 8 a.m. to 4 p.m., will be co-hosted by UC Davis and Zagaya. Duffy is an internationally recognized expert in human malaria pathogenesis, malaria in pregnancy, and malaria vaccine development. He has published more than 100 papers on malaria over his nearly 25-year career. 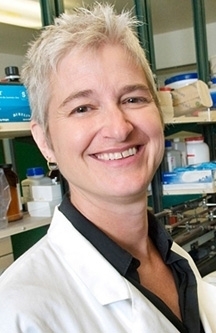 UC Davis co-host Shirley Luckhart, professor in the Department of Medical Microbiology and Immunology School of Medicine, and co-director of the Center for Vector-borne Diseases, will be one of the speakers. Meanwhile, take a look at the spectacular mosquito images taken by entomologist/photographer Jena Johnson of Athens, GA (she is married to Michael Strand). This is the Aedes aegypti mosquito blood-feeding on her.